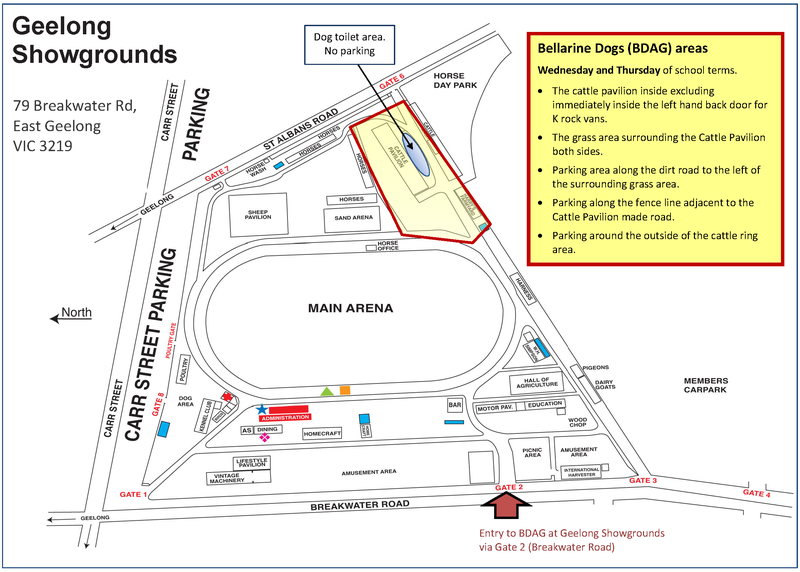 The Bellarine Dog Activities Group Inc. (BDAG) is a club formed in 1997 as a public service group. Our aim is to help owners produce a dog that they love to live with and their neighbours love to live beside. 79 Breakwater Rd, East Geelong, Victoria, Australia. Enter via Gate 2 on Breakwater Rd and take the first left (see map below). Melway Reference: page 452, area E10.